Play is powerful. Here's a 3-minute video that documents the use of the creative arts in treating Alzheimer's disease. Inspiring! Have a great Saturday, friends. Be encouraged! Like PlayFull on Facebook. A few weeks ago I took my son to see the Robie House by famed architect Frank Lloyd Wright. He was fascinated! My son likes to build things with Lego so when he saw some of the Lego models of a few architectural masterpieces in the gift shop, he wanted to buy one. The problem is: they are a little expensive! That didn't stop him. Over the course of the next few days he created a design masterpiece of a very imaginative RV out of Lego he already had. What creativity! His persistence to build something--anything--creative got me to thinking about the relationship between play and architecture (or any kind of structure, really). From a simple candle-holder to parliamentary halls, space is the medium in which we play. The sheer variety of objects we create in this world is testament to the intrinsic impulse we all have to play. Watch this short 3 minute video of some of Europe's most playful structures. NIGHTVISION from Luke Shepard on Vimeo. If you liked this, you'll want to Like PlayFull on Facebook to keep up with interesting content every day! 1. Help each other be right rather than wrong. 2. Look for ways to make new ideas work rather than for reasons they won't. 3. If in doubt, check it out rather than make negative assumptions. 4. Help each other win and take pride in each other's victories. 5. Speak positively about each other and about your organization. 6. Maintain a positive mental attitude no matter what the circumstance. 8. Do everything with enthusiasm–-it's contagious. 9. Believe in what you're doing. Always persist. Did you know PlayFull conducts team building events? These PlayDates incorporate interactive exercises designed to help your team understand one another better, develop collaborative vision, and establish healthy habits and protocols for effective teamwork. The length can range anywhere from 2 hours to 3 days: you pick! Contact us to see if we can be of help! Laugh, wonder, play, imagine, and grow! Keep in touch: like us on Facebook. On Sunday I told a story that integrates the image of Jesus as the Good Shepherd with Jesus as Bread, Wine and the Body of Christ gathered around the feast. The story begins with a group of sheep gathered in a sheepfold that’s placed on a green circle to my right. The Good Shepherd is there and he opens the gate to let the sheep out. The sheep follow the shepherd—out of the fold, over to another green circle placed to the left of the first circle and touching it. On this circle we have a table with a piece of bread on a small plate and a cup next to the bread. The Shepherd leads the sheep “through green pastures, quiet waters and even through dark, dangerous places.” As the sheep follow the Shepherd from one spot to the next, they slowly, slowly, get closer, closer, closer to The Table where they will gather and share a meal, a meal that signifies danger. Yet, strangely, this table is a very wonderful place. It is so wonderful that all kinds of people want to come here. There are people here of different colors, ages, sizes. There are even children here, big and small. That is the basic outline of the story. There are other details, but I’m leaving those out because what happened next in our time together was more important to me and I want to share it with you now. It amazes me that, after many years of telling this same story to different groups of people, there is still more, so much more to be discovered. We did not have ready answers to that question, but lots of silence, wonder. PlayFull would love to introduce you to this kind of spiritual formation that’s good for both children and adults. It is story-based and involves lots of free wondering time. This kind of slow, improvisational conversation holds great power, like water smoothing stubborn rocks set in the riverbed. Write us if you’re curious! I always love hearing from folks who have just discovered PlayFull. Reading or hearing their enthusiastic words of support and encouragement lights my fire! On Saturday, a person whom I've never met wrote me an email saying they heard about PlayFull from a newsletter sent out by another organization. She said she'd love to hear more! PlayFull is dedicated to helping people and organizations play from the inside out. As I describe PlayFull to folks who are just getting to know us, I often boil it down to three modes: PlayDates, PlayGroups, and Consulting. 1. PlayDates: these are one-off events where we gather a group of folks together to explore a given topic through playful activities. For example, towards the end of September we’ll host a PlayDate in Chicago that will introduce folks to the enneagram, a tool that helps people understand themselves and others better. The enneagram presents a freeing approach for personal growth and it’s useful in building healthy teams, too. In early October I'm planning on heading to Denver to host a PlayDate with an organization that works in some very challenging arenas. One portion of what they do involves hosting inter-faith dialogues with Jews, Muslims and Christians. I'm looking forward to facilitating some playful (theatrical!) activities with them that they can use in their peacemaking work. Of course, PlayDates could be on almost any topic: prayer, racial reconciliation, marriage, Christian formation, conflict transformation, interpersonal communication, and so forth. 2. PlayGroups: these are small groups of people (numbering anywhere from 6 to 26 folks) that are similar to PlayDates but they meet regularly for a set period of time. For example, a PlayGroup could meet once a month for five or six months or once a week for 3 or 4 months. An example: PlayFull is developing a series of 12 stories that are taken from the Bible that could be used in intergenerational small group settings. The 12 stories will articulate a theology of play and they’ll include objects and question-prompts to help people wonder about a familiar story in a free kind of way. Through this process called "wondering" participants will see old stories in a new light. A. PlayFull offers training in a type of children’s ministry that is similar to Godly Play. B. PlayFull conducts team building events (anywhere from a four-hour workshop to a 3-day retreat). These events help participants understand one another better, establish healthy habits/protocols for teaming, and develop vision together. 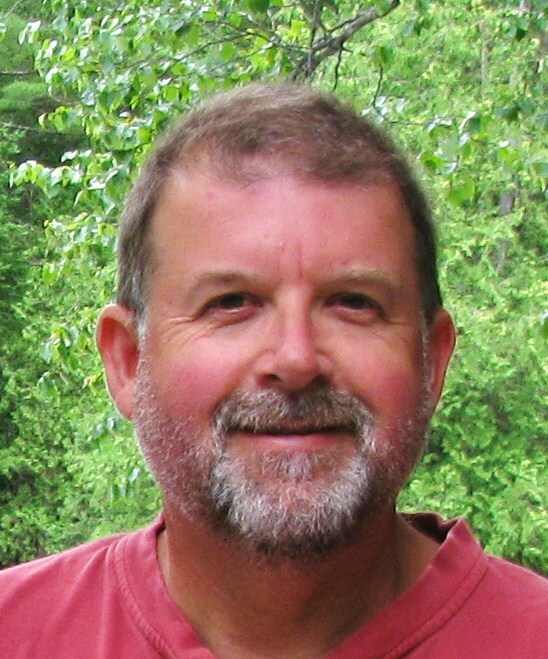 C. PlayFull also offers coaching, organizational development and leadership development tools. 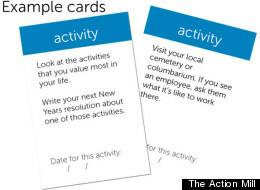 One tool I particularly enjoy using is a playful process designed to help teams discover their collective core values. That said, the common ingredient in whatever we do is…play! This is because we see play as one of the world’s greatest untapped resources and we want to do what we can to help folks “play from the inside out”. If we can help cultivate an understanding of the nature and scope of play, we believe folks will apply it to whatever challenges they or their group may be facing. Let me know if you’d like to talk more. I’m interested to hear what you’re about and why PlayFull struck a chord with you. If you like, we could chat on the phone. I’ll be happy to arrange a time to talk. I hope you enjoyed that little window into my world! :) I feel so blessed to be doing what I do. As if almost all they would say would be like a veil. The knot of time and eternity. And joy in the trees. That could compete with such might? "We are on the battlefront 24/7, it’s nice to be able to take them places that we don't have to apologize for who they are." -Sharon C.
“This is the first time in ten years we’ve been able to take our child to a social event.” -Jill S.
Every child is unique--and children with Autism Spectrum Disorder are no exception. Yet, with all the distinctions from one child to the next, PlayFull believes there is a medium that speaks to them all: play. 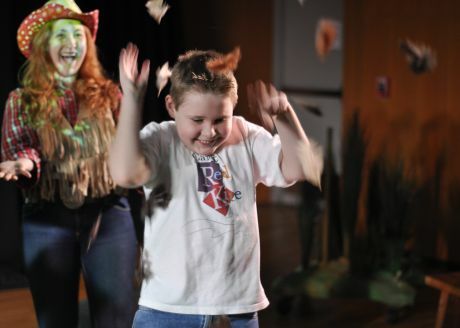 In 2008, Chicago Children's Theatre Artistic Director Jacqueline Russell founded The Red Kite Project, an initiative dedicated to bringing joy through the arts to children with complex disabilities and their families. Red Kite conducts workshops in public schools and they produce "interactive, multisensory" performances where children with ASD will feel right at home. The quotes above are testimonials about Red Kite. The results speak for themselves, methinks! 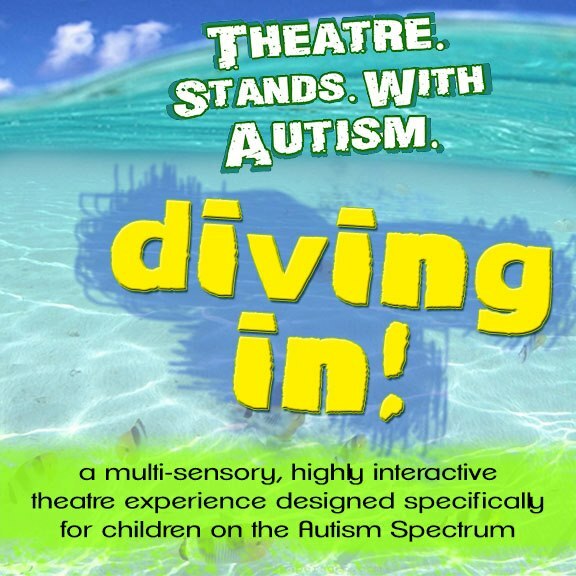 In May of this year students from Northwestern University partnered with The Red Kite Project to put on a show called "Diving In." As the show started, performers sang "Row, row, row your boat"--with a twist. Lyrics in the song were changed to incorporate interactive movements and sounds. As the performers sang about a lion, children could roar freely without being told they were "interrupting the show" or that they needed to be quiet. Red Kite's name reflects their belief that "every child with autism has a spirit ready to take flight." Inspiring! 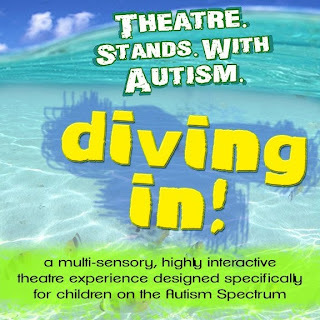 Of course, there are many more ways than theatre to bless children with ASD and their families. I was also inspired by an initiative undertaken by the Evangelical Covenant Church. 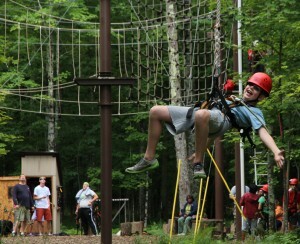 Earlier this month they hosted their first-ever camp designed especially for children with ASD and their families. The camp featured outdoor activities and interactive worship. Children could be themselves and could enjoy singing and learning in their own way. Parents of children with ASD were also ministered to as they felt relieved that, for once, they didn't have to explain to someone the unique challenges they face as a family because of ASD. Play really is a universal language. To learn more about play and its many applications, keep up with PlayFull on Facebook or write us to discern if we can be of help to you. One of my favorite images of Jesus Christ is of him with his head back laughing. I imagine his laughter must have been contagious. I know because it makes me smile. Now, most images we have of Christ do not elicit such a playful response – the somber images are meant to foster reverence, but imagining Christ laughing invites me to be playful. Likewise, images we have of God are not all that playful either. Most people would picture God being a judge or prosecutor in a courtroom rather than being out on a playground running around playing tag. But the Greek Orthodox use a word for describing God and the relationship among the Trinity that places us out on the playground rather than in the courtroom. Perichoresis is the Greek word for dance and it aptly describes the playful mutuality within the Trinitarian relationship. Eugene Peterson in Christ Plays in Ten Thousand Places expresses that “the essence of the Trinity . . . is captured here in a picture that anyone can observe in an American neighborhood barn dance” (p. 45). And because God has been at this for aeons, I bet God is a great dancer. If we were to watch God in the Trinity dancing we would be in awe of God’s flowing movements, the fluid rhythms, the engaging tempos. But there is another side to imagining the relationship among the Trinity as a beautiful dance. God dancing is not just about God dancing – God is not trying to become the next American Idol. But God dances in such a way in which God invites us into the dance with God. God is not just about himself, showing off how great of a dancer he is, being the envy of we who stand alone on the sidelines. No, God, notices us, dances over to us, reaches out his hand and invites us into the dance. Not a dance in which we become God, but in dancing with God we become human in ways that we never have before. Dancing with God, we laugh with God, we play with God, we enjoy being in dance with God, and the world takes on a different perspective. And in dancing with God we learn to dance with others, just like we dance with God. As we dance like God dances, we discover that our dancing leads us to forgive others, to be reconciled with those with whom we are at odds, it eradicates our desire to demean others, to be racist and sexist. In dancing as God dances, we learn to be creative together with others, and be at peace with others. In fact in dancing like God dances, we learn to be joyful, we learn to be playful with one another because in dancing we rediscover how to be human in the way God created us to be human. Let’s join in with God who is always dancing among us. We're part of one another and we love connecting with you. Like us on Facebook if you'd like to keep abreast of some life-giving stuff. 9. Character is formed in community. 8. We need more wonder so we need to wonder more. 7. Listening takes practice. And silence. 6. These words are mysteriously linked: food, friendship, praise and prayer. 5. There’s no avoiding thresholds. Passage-ways often find us before we find them so move from one space to another in a spirit of reverence. Something special is waiting on the other side. 4. Values are more caught than taught. Stories teach more than propositions—and I have a story about that. You have a story about that, too. 2. We receive the kingdom of God only if we have the faith of a child. 1. Too many adults take themselves too seriously but God became a baby. Steve Martin Goes To the Dogs! You've seen comedy bits about dogs. In this hilarious vignette from classic television's Carol Burnett Show, Steve Martin does one better: he crafts some comedy for dogs! Watch this short video for a great mixture of scripted standup and improv. True acts of hospitality are infused with the spirit of playfulness. To be playful is to open oneself; to open oneself is to be hospitable. Sharing two hours at the dinner table likely accomplishes more towards making peace than spending eight hours at the negotiating table. May we be open to others, ready to embrace others in acts of pure hospitality. I invite you to share a meal with a stranger sometime soon. For daily encouragement, like us on Facebook! Play is therapeutic. In speaking with my friend Susy Newman about PlayFull’s big idea some time ago, she drew my attention to an organization dedicated to informing people about art therapy and promoting its practice. The organization is aptly called the Art Therapy Alliance. I invite you to check out their work. Recently, the Art Therapy Alliance directed their members to a story about the use of art therapy among women in Nepal who are survivors of human trafficking. These women were exposed to art therapy as a healing practice to treat the wounds of their past. Now, these same women are using art therapy to help other women who are facing the same challenges. Artistic seeds spread, reproducing life-giving fruit. Play begets more play. Reading the newspaper, one would think despair has the last word. Though joy seems elusive, she may be as close as a friend with a simple invitation to join them in play. Keep up with daily, encouraging ideas: like us on Facebook! Yesterday morning I read Psalm 121--a beautiful song! I remember my grandmother reciting it when I was a child. She was a small woman, but large of heart. Sometimes, our family would be in danger. One day, when night fell, my grandmother knew we were in trouble and spoke it aloud to us. I do not remember all the circumstances. But I do know I felt unsafe that evening--and when these words were spoken as a prayer over us, I felt safe. And we were. There are many versions of this special song. Of course, in those days my grandma preferred the King James Version. While I am not one to go around quoting this version of the Bible, I happened upon the Psalm the other day and called to mind the lyricism of the older translation. I decided to look it up and, yes, it is indeed a wonder-full piece of poetry. I invite you to simply let the words soak in today. shall neither slumber nor sleep. from this time forth, and even for evermore. It is a beautiful Friday morning. As I walk the dog, I pass a short, thin man with a long, full beard who smiles at me and says, “Good morning.” He is wearing all black, save for a plain white collar shirt under his blazer. Atop his head: a large, broad-brimmed hat. And there are two other splashes of white, swinging freely just below the hem on the left and right sides of his blazer: tassels. Almost every Friday now, I pass my friendly Jewish neighbor on this stretch of sidewalk just one street over from our home. He and his family are new to the neighborhood and I find myself looking forward to his greeting every week. He seems joyful to me. After I pass him, I wonder if he feels especially joyful today because at sunset he will say Kiddush and begin the Sabbath. Even though it is still early, I find myself wishing him Shabbat shalom. And as I turn that phrase over in my heart, I find myself thinking of you. This year I cannot choose only one word because one comes with the other: Shabbat shalom. Like you-and-me or me-and-you. Later today we will make our way out of town for a special celebration: tomorrow is our anniversary. You will read this then. Prayer is more like playing catch with God than groveling before a disinterested overlord. Prayer involves give and take, catching and throwing. Overlords mostly take; when they give they do so begrudgingly in the form of a loan; they expect payment in return with interest; overlord giving is only another means to taking. God is not that way. There is nothing we can give him in return that he has not already given us. God is marked by eternal giving. To say “God is love” is to say he perpetually loves. To say this is to say he eternally self-empties. God is like a river: he is always flowing out but never running out. So, don’t worry, if you play catch with God he will always throw the ball back to you. It’s in his nature to play: the fruit of the Spirit is joy. When praying, remember: God is not a bureaucrat. True prayer does not coincide with humiliation. Because God's holiness can only be seen in the light of his love, true prayer dignifies. Just as playing with another ascribes value to the other, so in prayer God reminds us how he delights in us, lavishes his love upon us and is pleased with his maturing child. Pray with Lego now and then. It could remind you that you are God's joy and he can be yours. *I can't find the source citation but out on the internets everyone says ol' Ollie said it so it must be true, right? If you happen to know where he said it or if someone else said it, please let me know! At any rate, it's a good thought, so whoever said it is a genius. Which makes me think it might have been something Gilligan said to the Skipper in that episode where Ginger wants to be a movie star again but trips on her feather boa and the Professor makes a helicopter out of bamboo and coconuts. 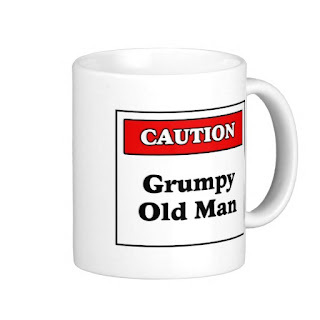 Click here for a laugh today! I serve as a coach to all sorts of people. Some of those I have coached are musicians, some are in the publishing business, one works for United Way, one is in the banking world, others work in an elementary school, still another is a computer guru. They all have one thing in common: the need to have someone listen to them. I have to say, practicing curiosity and helping others be curious are among the greatest joys I have in what I do. 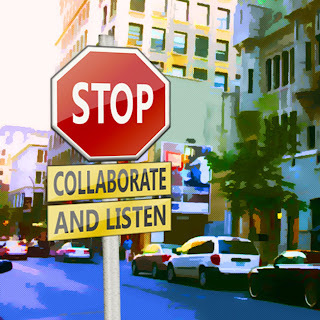 A few months ago I had a coaching session with a guy and he remarked what a gift it is to just have someone to talk out ideas with—to be able to connect with someone who would listen simply to understand, not judge—to draw out, not “instruct”. We all need good listeners in our life. 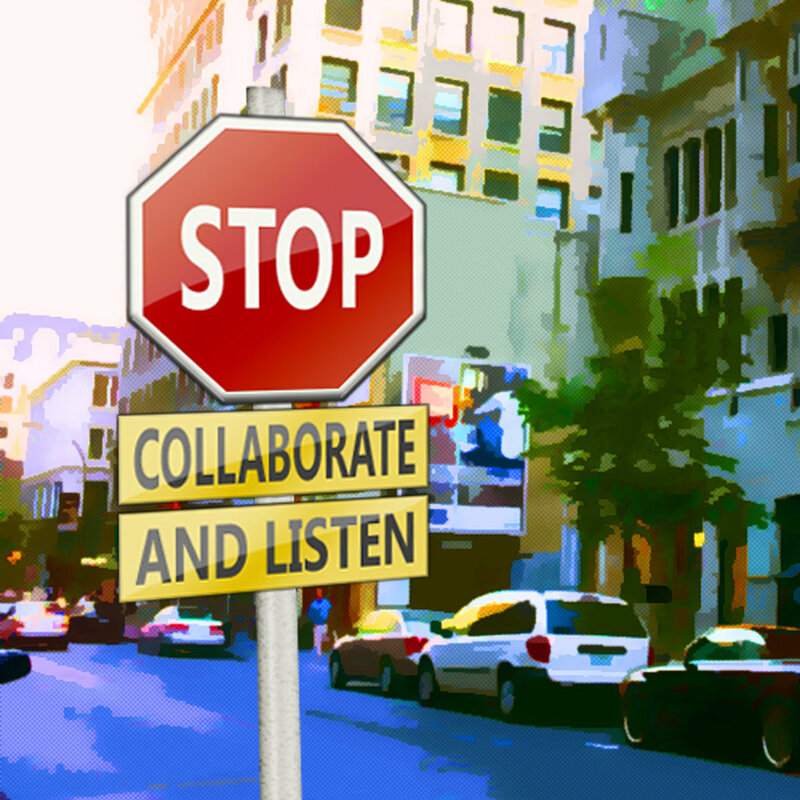 Recently, it occurred to me: what a tragedy that we live in a world where whole professions have been created simply because someone needs someone else to listen—just listen, nothing more. And: what a tragedy that many of these professions require years and years of schooling simply to become a good listener. This tells us something about the value (and difficulty) of listening. One of the greatest gifts you can give to those around you is to be a good listener. Even if you feel you know the answer to someone else’s problem, I invite you to resist the temptation to play the role of advice-giver. Yes, you may be an expert in a given field, you may have had a similar problem as someone else, but that does not mean the answers you provide will truly help the other. Answers discovered hold more power than answers “taught”. Just look at Jesus. Who was a greater expert in the human condition than him? Yet look at how well he listened! Consider how many questions he asked...Jesus was a master conversationalist: he knew how to speak well because he knew how to listen well. May we follow his example. May we learn to love others by listening. Would you like to know more about coaching? Write us! This is something my college drama director told us over and over again. She attributes the statement to Konstantin Stanislavski, former artistic director of the Moscow Art Theater and founder of a technique best known as The Method. 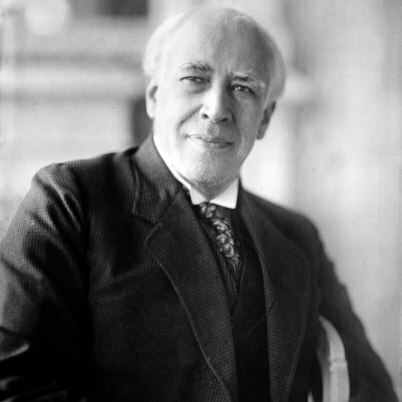 Stanislavski revolutionized the craft of acting based on his conviction that the truth is always more interesting than a lie. Acting had become stylized in Stanislavski’s day. As such, the “tricks of the trade” had grown old and tired. There were only so many variations on gesture, voice and movement one could conjure. But real life does not come at us in predictable tics and fashionable vocal tones. Real people surprise us—if we take the time to really notice them. So, Stanislavski asked “why”. Why is this so? How is it that so many people can be so different? What makes each person truly unique? How is it that we encounter personalities and mannerisms in countless variety? Well, one explanation he discovered is that when people are being truly themselves they are not thinking of themselves. They do what they do without self-consciousness. They behave naturally. And when they speak and act as they really are, Stanislavski discovered, they are truly more interesting. That left him with a challenge: how to translate this to the craft of acting? That was the rub. It is one thing to act naturally in real life; it is another to do that on the stage. If only he could figure out how to help his actors approach their role with the same degree of self-forgetfulness as one experiences in real life—that would be the key. So, he designed a series of exercises (games!) to help actors relax, concentrate their attention—and forget about themselves! And, today, teachers and students of The Method create still more games to do just that while at the same time practicing the same games Stanislavski used one century ago. True play is revolutionary, universal and timeless. It is truthful—and the truth is always more interesting than a lie. Like PlayFull on Facebook to keep up with the latest updates. There's something new every day! One of the best things we can do to cultivate a playful approach to life is to practice the ancient art of Sabbath-keeping. One benefit to keeping the Sabbath is that we cannot do so and take ourselves too seriously! What's more, when we stop working to rest, we are better able to attend to how God and the world works outside of our own compulsion to "control" and "manage" things. This attentiveness then leads to a sense of adoration, which we may more properly call worship. Eugene Peterson articulates these connections beautifully in his book Christ Plays In Ten Thousand Places. "The most striking thing about keeping the Sabbath is that it begins by not doing anything. The Hebrew word shabbat, which we take over into our language untranslated, simply means, "Quit...Stop...Take a break." *Peterson, Eugene. Christ Plays In Ten Thousand Places (Grand Rapids: Wm. B. Eerdmans, 2005) p. 109. Here's how one person responded playfully after her leg was amputated. Inspiring! To see a full 5 minute time lapse of Christina's creation, watch the video below. To keep up on daily, encouraging content visit PlayFull on Facebook and give us a "like"! 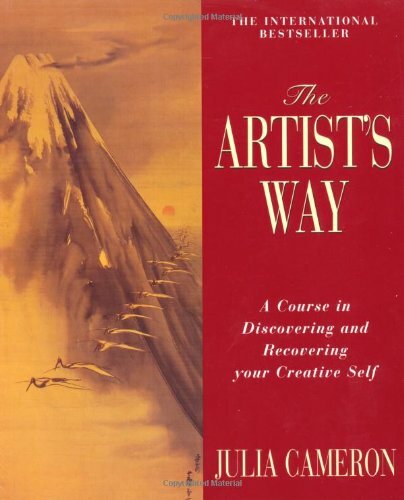 Julia Cameron has helped countless people tap into hidden reservoirs of creativity and imagination. She labels her approach "a course in discovering and recovering your creative self.” The results are astounding: the accountant uncovers a hidden talent—a knack for fiction writing; the stay-at-home mom launches a career in award-winning painting; the retired widow becomes a proficient photographer. Cameron’s book The Artist’s Way provides us with the “cheat sheets” to her course. Especially helpful are the concrete exercises she includes to get those creative juices flowing. I love this book because of its practicality but I also love it because of its vision. The grand underlying principle to this book is that everyone, no matter how “left-brained” you think you are, has an artistic impulse--a longing to create beauty with words, images and sounds. If this is the case, it is a tragedy so many of us have repressed our artistic selves either due to fear of societal judgment or acquiescence to excessive self-criticism. So, Cameron structures her book around the idea of “recovery”. Each chapter contains inspiration designed to help you recover an aspect that’s crucial to let your artistic-self flourish. Spot on, Ms. Cameron, spot on! If you don’t have this book and don’t plan on getting it, let me mention one other gem from Ms. Cameron’s approach that can help anyone, right now. Ms. Cameron insists everyone who’s committed to calling out their inner artist to write something she calls “Morning Pages”. Just write, whether you feel like it or not. Contentment and commitment to do the simple, basic things do more to help us grow than we may realize. In fact, Ms. Cameron insists this is the single most important key to unlocking your creativity. Give it a try! I can guarantee it will transform not only the works of art you produce, but it will form something beautiful in you that, quite honestly, transcends expression. Four years later, I’m going on almost 1,500 unique, short prayers on Twitter--and many more that are not included there. (I suppose that would be enough for a book.) What’s more, writing those prayers has prompted other kinds of writing. Not all of it is publication-quality, but at least it’s writing and it keeps me going, one day at a time. That’s the key. One day at a time, small steps in which you suspend the inner critic and your fear of the outer critic. While I don’t agree with all Ms. Cameron’s ideas in the book, I do believe The Artist’s Way is a powerful tool to help us all live more playfully. I recommend it especially if you have some other people to work through it with you. Visit our PlayBook page to find more reviews on books that can help you live more playfully. This commercial makes me laugh! Enjoy some Hump Day humor, folks. Something tells me we all need it! Play and dialectic go hand-in-hand. The first rule of all improvisation is the Rule of Yes. One person initiates an interaction with a word or gesture while the other person accepts (says yes to) what their partner has said or done. Me: I just got a new puppy. Sandra: How are you today? In the first example, the statement asks for a response. In the second example, the offer to have a seat invites conversation. This is the essence of play. It is spontaneous, inviting and open to invitation, surprising and unpredictable. Now, you may not have been surprised by the above interactions but that is only because I suggested one way of playing out the scene. You: I did, too, but my neighbor ran over it with his car. She died. That would appear a little more surprising, would it not? Nevertheless, the first way of playing out the scene is just as surprising, even if it seems less so. Martha enters. Sandra offers her a seat. Martha: I don’t feel like sitting, actually. I’ve been sitting all day. Sandra: Really? What have you been doing? This prompts our curiosity: What has she been doing? We want to find out. “But play does not always involve two or more people,” someone might say. Yes, it does—even when you are playing by yourself. There is an internal dialectic going on. This piece of writing is an example. There are no literal conversation partners for me as I write this, but one or two other people are supplied by my imagination. When my daughter was younger, she played this way with her stuffed animals. Sometimes I would listen to her down the hall, playing by herself, carrying on all kinds of dialogue between Lamby and Max. What interests me most about those interactions is that my daughter did not have to be taught The Rule of Yes—she simply followed it. How refreshing! How do you do with this? Do you find yourself mostly living according to the Rule of Yes or do you at times live more according to No? Think of some different relationships you have. How do they vary from one to the other? More Yes or more No? Play is open. Play is Yes, even when we say no. Most people would not put “death” in the same category as “play” but in talking with my new acquaintance one day I discovered the two go hand-in-hand. As I described PlayFull to her, her eyes lit up because she instantly saw how the process of dying (and the practice of being a companion to someone in their dying) was an intrinsically playful process. In that light, it could be said that those who are at their most helpless are those who can truly play. This, I believe, is why my friend saw play as something that coincides with her calling to come alongside those who are near death. She experiences her vocation in hospice care as playful. On Saturday, she forwarded a link to me on Twitter. She drew my attention to a game someone has developed that helps people open up to talk freely about end-of-life questions. The game is called “My Gift of Grace”. 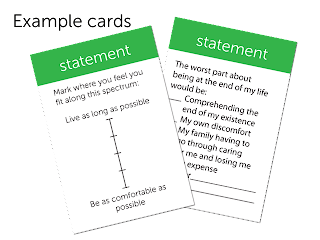 Mindfulness about the process of dying can encourage us to “carry ourselves more lightly.” It puts all lesser challenges into perspective and thus deepens an appreciation for life. 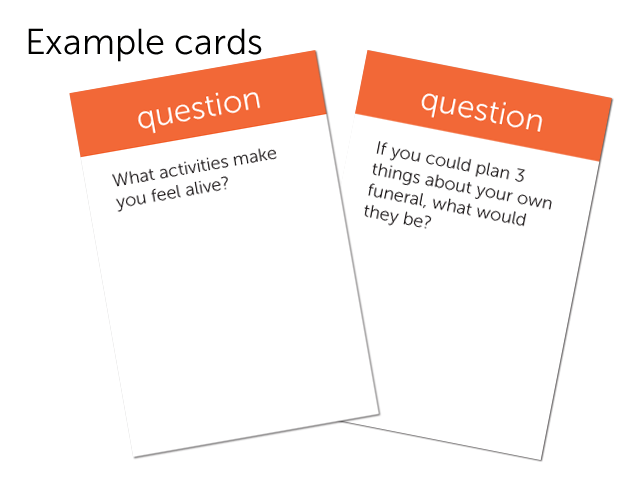 Considering end-of-life questions, surprisingly, can help us live more playfully. If you found this article helpful, like us on facebook. We post daily! A few months ago I paid a visit to Indianapolis and facilitated a meeting with a small group of Christians. During the meeting, one of the men was clearly in pain. So, we prayed for him. Just weeks after that, doctors discovered that the pain in his leg was caused by a tumor. He did not have long to live. About a month later, he died. About six weeks ago, some other friends had a baby. Nine days ago the mother died of cancer. Yesterday, a friend went to the funeral of a co-worker who was murdered eight days ago and on Friday another friend’s sister just passed away in old age. I was going to post another quote about the importance of Sabbath today, but instead I decided to write about it myself, as a way of wondering. Each Sunday this summer I’ve had the chance to tell some stories to both young and old. The stories use objects of different size, shape and color as a way to center attention to encourage us to put ourselves in the story. One place has a spot that looks clear blue. It could be water. It could be such a still place that, when you look in it, you see a face reflected back. Another place is green, open and spacious—while another place is defined by numerous ill-shaped dark things. It looks like a dangerous place—a place in which one could get lost easily. There is no light in this place. Only dark. And another place turns out to be home. It is a safe place. A place from which the sheep are called out and a place to which they are led back. When the sheep are called out from home, how do they know where to go? Well, they know the voice of the Shepherd and, more importantly, the Shepherd knows each one of them by name. He not only knows their name, he knows everything about them. He knows if they are happy or sad. He knows if they are feeling lonely or loved. He knows if they are courageous or timid. He knows everything about them. So he knows how to lead them. He leads them to the green places; he leads them beside still waters; he even leads them through dark valleys. I wonder why he leads them there? I wonder why he does not just lead them to good places? I don’t know if I will ever know why he does that. But I do know he does not leave any of his sheep in those dark places. He leads them safely through to home. When they get home, he counts each one of them and—as his sheep cross the threshold—if he notices one of them is missing or has become lost, he goes looking for them. He leaves the sheep safe at home to go look for the lost one. He goes to the green meadows. Maybe the lost sheep stayed there. He does not find them there, so he goes to the water. But the sheep is not there, either. He looks all over the dark place. And that is where he finds his sheep. He carries her on his shoulders and brings her home. Sometimes there is a wolf who comes after the sheep. The wolf comes to steal, kill, destroy and tear apart. The Good Shepherd does not leave the sheep to the wolf. He lays down his life for the sheep, so the sheep are safe. So, everyone gathers at the table together. Together, they are safe. The table becomes home to the new family. Together, they are safe. I wonder how this can be?